This topic describes the steps that system administrators must follow to publish a mobile workspace. 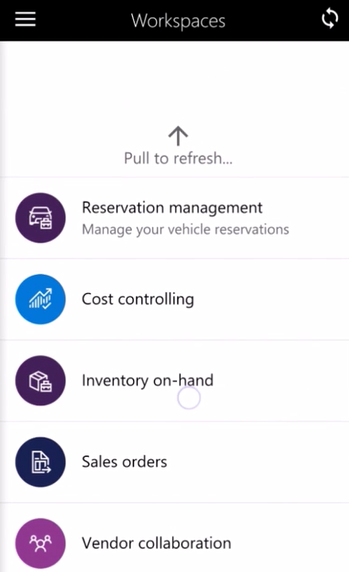 A mobile workspace must be published so that users can access it in the Dynamics 365 for Unified Operations mobile app. In your browser, start Microsoft Dynamics 365 for Finance and Operations. Click Settings > Mobile app. Select the mobile workspace to publish. After a new workspace is published, users must pull to refresh the list of mobile workspaces. On the System parameters page, on the Manage mobile workspaces tab, select the workspace to publish.